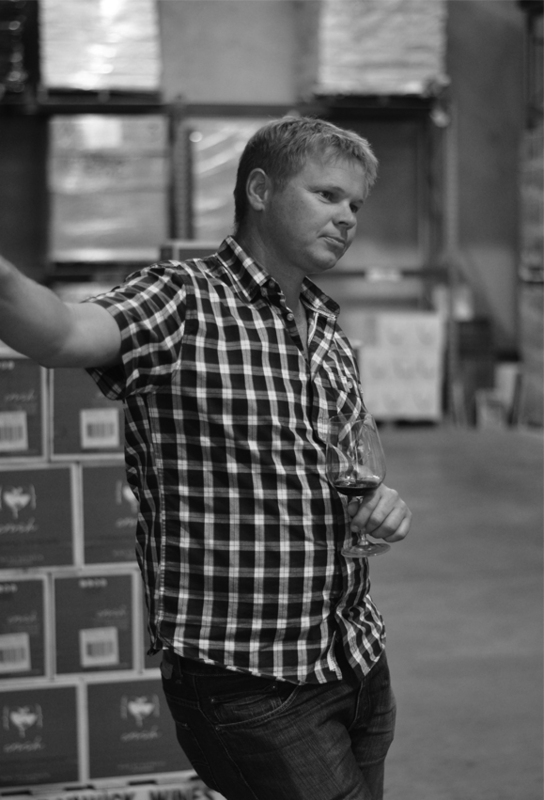 Troy Schoof joined Latitude 34 Wine Co as Viticulturist and Vineyard Operations Manager in 2014, bringing with him more than 12 years hands-on experience in vineyard management and premium wine grape growing in the South West and Margaret River regions. Overseeing Latitude 34 Wine Co’s 126 hectares of vines in Margaret River and the Blackwood Valley, Troy is focused on vine health and achieving the best possible balance of quality and yield every vintage, but first and foremost letting the vines from each region speak for itself through the fruit. Troy is passionate about the environment and doing all he can to grow grapes in a sustainable way to ensure many more awesome vintages to come. This thinking is also encouraged with the team of workers on the ground. Troy is focused on providing valuable advice on soil amelioration, ongoing vine health improvement and disease resistance through organic fertiliser and nutrient support. Troy has undertaken to focus on the use of organic composts and fertilisers across our vineyards. Troy is currently the President of the Blackwood Valley Wine Association. As the largest grower in the region, Latitude 34 Wine Co is passionate about letting the world know about this unsung hero of a region. Troy is energetic about the industry and fine wines. Personally Troy loves to go fishing, camping and spending time with his young family. 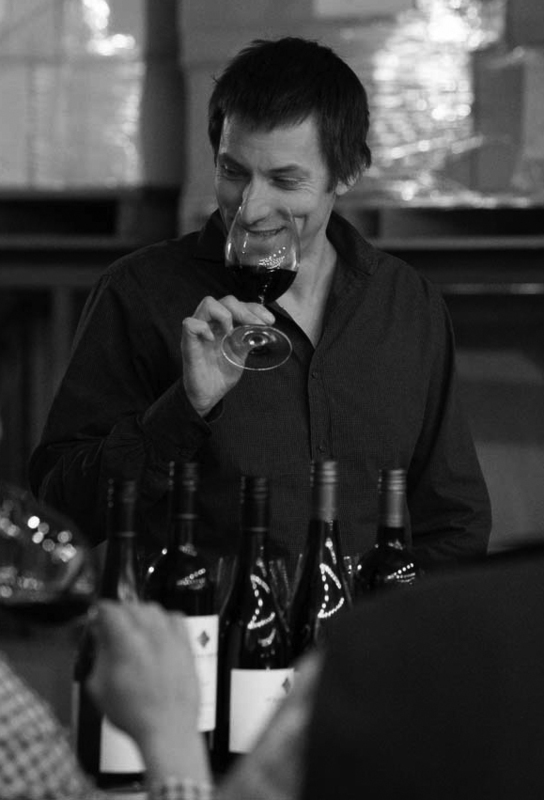 Andrew began his professional life as a teacher, but a passion for wine got the better of him. While on a nine-year stint living in Hong Kong, he completed his WSET Diploma and subsequently taught wine appreciation classes. In 2015 Andrew moved to Margaret River to study at Curtin University. Despite originating ‘over east’ he now calls Margaret River home and is totally besotted with the region and its wines. As well as vintages in Margaret River, he’s also completed harvests in the Napa Valley and Oregon in the USA; the Rheinhessen in Germany and the Victoria’s Yarra Valley. Andrew sees these international experiences as an invaluable step to becoming a more complete and rounded winemaker. Since joining Latitude 34 Wine Co in November 2017 Andrew has worked hard to continue to improve their high-quality range of wines. He loves having grapes from an established, world-class Margaret River vineyard to work with, but has also been impressed by the fruit from the Blackwood Valley. He has a passion for Chardonnay, but also loves playing with the Mediterranean varieties such as the Vermentino, Tempranillo and Grenache. He is focused on quality and allowing the fruit to speak; balanced, integrated wines that are fresh and drinkable are always his aim. Andrew is a firm believer in the value of the wine show system and has been involved with judging at the Margaret River, Blackwood Valley and Timber Towns Wine Shows. While studying at Curtin he won ‘Sensory Award’ for best sensory student in his year. Aside from his serious love affair with wine, Andrew also enjoys running, gardening, fishing, spending time in the outdoors and the odd fancy craft beer or single malt.